Oyo Rooms, currently the market leader in branded budget hotel room rental space, has surprised everyone with their announcement of turning profitable. At a time, when most startups in this space (or even in other verticals) are burning VC money with no horizon of getting profitable anytime soon, Oyo Rooms has found a way to be hit the magical profitability! According to the Press release sent to us, Oyo Rooms has regained its profitability at a network level since February 2016. Oravel Stays Private Limited, which owns and operates OYO Rooms, had reported a turnover of INR 2.4 Crores last year (FY 2014-15), growing from a turnover of INR 51 lacs in the previous fiscal. The startup has not released any financial numbers for this fiscal as yet. A year back, Oyo Rooms was present in only 10 cities and had tie-ups with 200 hotels. However, they have expanded exponentially since, thanks in part due to two major funding rounds in last 12 months. They raised 25 million in Series A round in March 2015 followed by huge 100 million funding in July 2015. 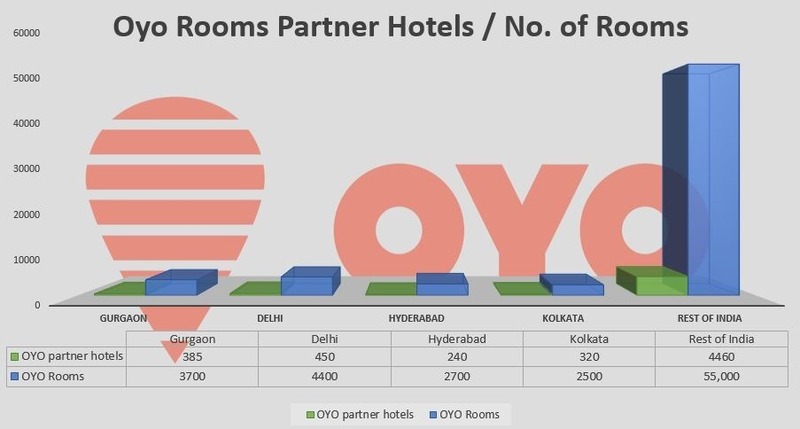 As of today, Oyo Rooms has increased their partner hotel base to 5855 which have a total of 68,300 rooms and operates in 170 cities in India. Oyo has claimed that their real-time room availability and 30 percent lower price compared to other online hotel sellers has ensured that they continue to attract higher room bookings and repeat customers. By turning profitable, Oyo Rooms has become one of the very few large Indian startups to achieve profitability in such a short time – Kudos to Ritesh and his entire team! "Oyo Rooms Grows 15X YoY, Turns Profitable! ", 5 out of 5 based on 13 ratings. If this was April 1st I would have had a little giggle….